Did you know that following a cardiac arrest, every minute without CPR and defibrillation reduces a casualty’s chance of survival by 10%? Sudden cardiac arrest is one of the UK’s biggest killers, and yet statistics show that most of the British public are unaware of the life-saving difference they can make by performing CPR and defibrillation. 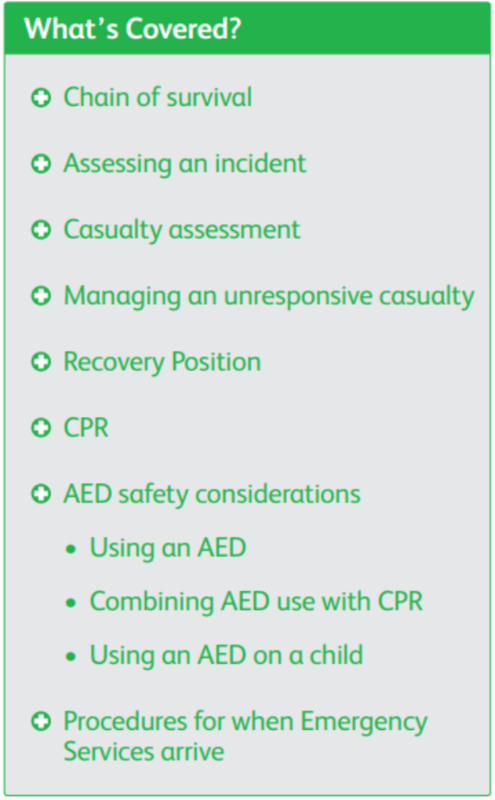 The QA Level 2 Award in Basic Life Support and Safe Use of an Automated External Defibrillator (RQF) qualification has been designed to provide candidates with the skills needed to administer safe, prompt and effective basic life support and use an AED safely in emergency situations. With an estimated 60,000 out of hospital cardiac arrests occurring every year in the UK alone, make sure you are prepared!